Terms and Conditions: By accessing the 2017 Rose Bowl Gigapixel on the Blakeway Gigapixel viewer you acknowledge that you have read, understood, and have agreed to the Terms and all related documents. It is very important that you read them carefully. If you do not agree to be bound to the Terms and all related documents, you are not allowed to access the 2017 Rose Bowl Gigapixel or the Blakeway Gigapixel viewer in any form or fashion. 1. All intellectual property rights (including, but not limited to, copyright, patents, know-how, confidential information, database rights, and rights in trademarks and designs whether registered or unregistered, and other materials) in the Site are vested in Blakeway Worldwide Panoramas, Inc. or its licensors (including, for the avoidance of doubt, the National Hockey League and its member clubs [collectively, the "NHL"]), as applicable. All goodwill and intellectual property rights arising through the use of such intellectual property rights vested in Blakeway Worldwide Panoramas shall inure to Blakeway Worldwide Panoramas. All goodwill and intellectual property rights arising through the use of such intellectual property rights vested in the NHL shall inure to the NHL. You further agree that you will not utilize any of these resources for commercial purposes unless specifically approved by Blakeway Worldwide Panoramas, Inc. and the NHL. 4. 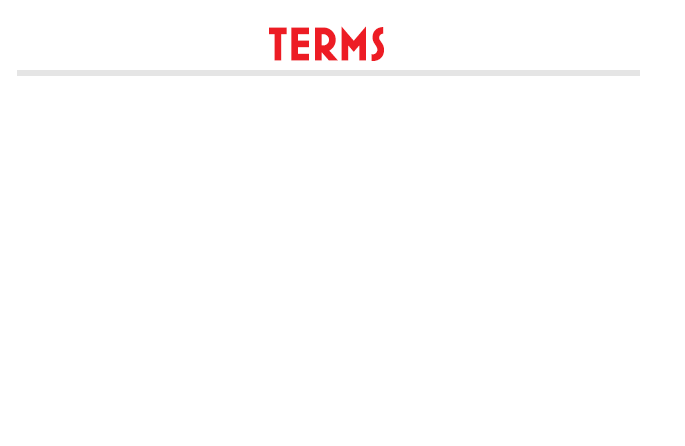 Sweepstakes and/or Giveaways Official Rules and Procedures: NO PURCHASE NECESSARY. Must be 18 years of age or older to enter. Entries will start being accepted when the Gigapixel live site is launched and will continue to be accepted for five (5) business days after that date. Winners for the sweepstakes will be chosen at random seven (7) business days after the launch date of the Gigapixel live site. The winner(s) of the sweepstakes and/or giveaways will be notified via the e-mail address provided on their entry form and will have seventy-two (72) hours from the date and time stamp of that sent email to claim their prize. If the winner(s) fail to claim prize within seventy-two (72) hours, prize will be forfeited and another winner will be selected at random. By entering the sweepstakes and/or giveaway, entrant agrees to have their first name, city and state announced via email and/or social media platforms, including but not limited to Facebook, Twitter, Instagram and Pinterest. This information will only be announced after the entrant has claimed prize. 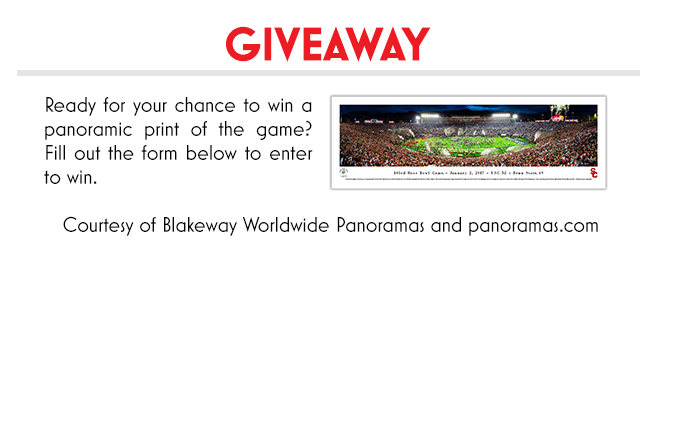 Prizes of panoramic prints will be fulfilled by Blakeway Worldwide Panoramas, Inc., Minneapolis, MN. The fulfillment of any and all other prizes will be the sole responsibility of the College, University or athletic team sponsoring the Gigapixel. Upon entry into sweepstakes and/or giveaway, entrant agrees to provide the following: full name, shipping address, and phone number to ensure successful shipment of prize. Blakeway Worldwide Panoramas, Inc. will only ship officially licensed panoramic prints from the NFL, NCAA, and NASCAR within the continental United States. Panoramic prints licensed through the NHL will only be mailed within the continental United States and Canada.